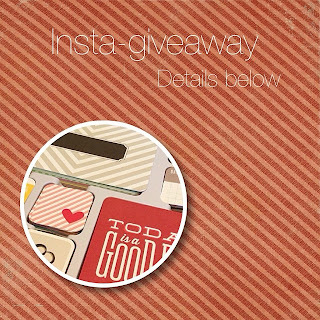 Just wanted to let you guys know, I have two giveaways going on on my Instagram feed right now. Giveaway #1. Open to US only. Giving away a near full #projectlife Just Add Color core kit, with the sticker sheets and the 3 styles of HSN page protectors. (No binder, or overlays, no alpha stickers and no original box). I've only used a handful of the cards and maybe a couple of stickers. To enter just leave a comment on this Instagram post by 10pm Friday December 13th (EST). 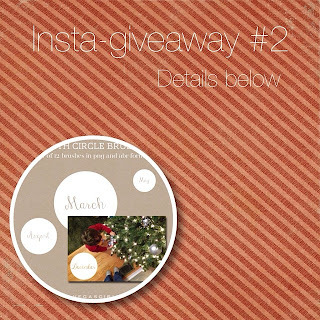 Giveaway #2. Because I can't offer the previous giveaway to international folks, here's a second giveaway, strictly for people OUTSIDE the US. Leave a comment on this Instagram post and you'll be entered to win any 10 digital (non custom) items currently in my Etsy shop. Enter by 10pm est Friday December 13.